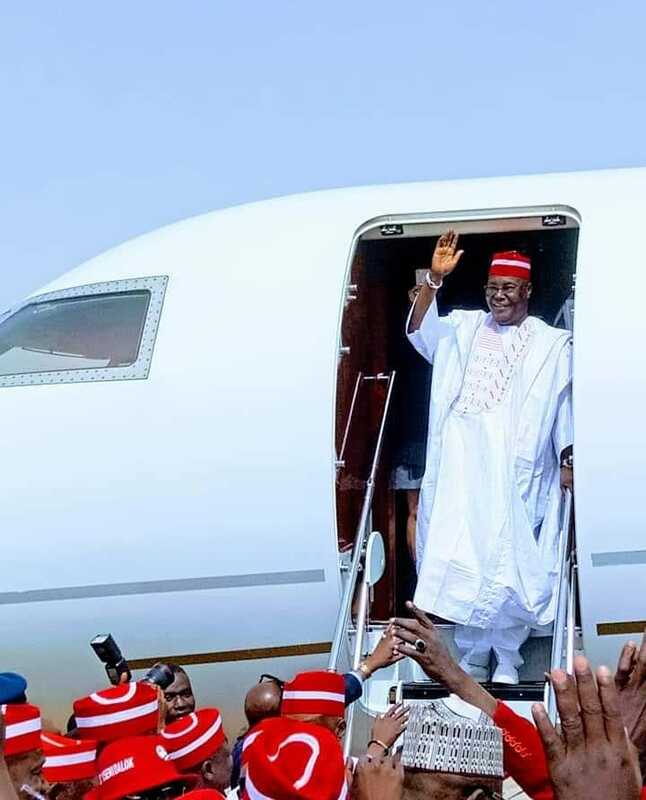 The Peoples Democratic Party (PDP) presidential campaign rally in Kano might extend to monday. The Presidential Candidate Atiku Abubakar is reported to having difficulty in gaining access to the stadium as the entire area has been blocked by crowd trying to gain access to the venue. The tweet also carried a video showing crowd of people. “2 hours and 15 minutes in, Kano is still a standstill as we make our way to the Emir’s palace. 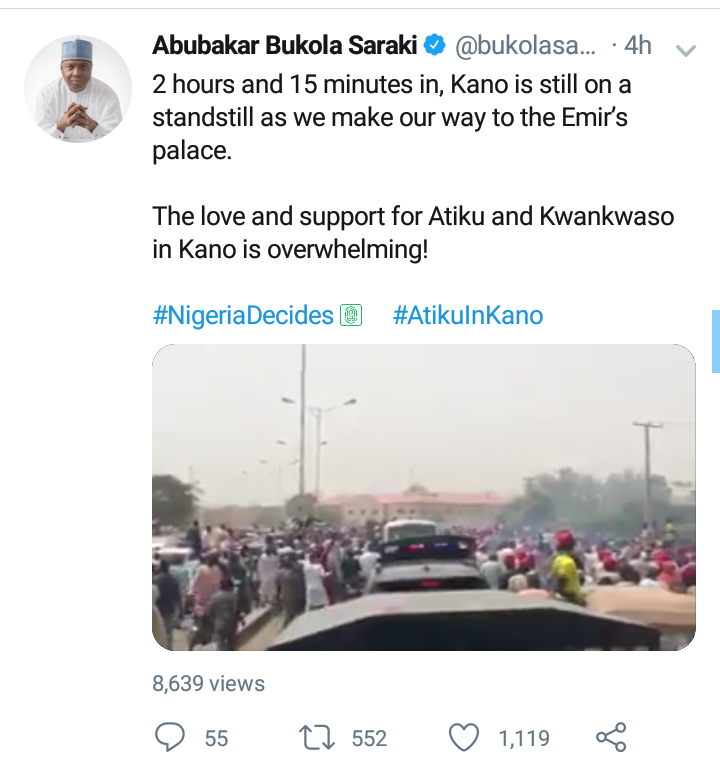 The senate president hours later came tweeted to confirm it took them four hours before they could reach the Emir’s palace in Kano.